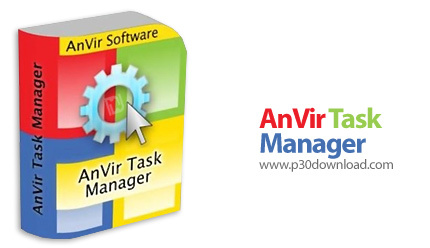 Download AnVir Task Manager System Performance Enhancement Software AnVir Task Manager software provides a complete setup to enhance Windows performance for continuous work with the system. This software has information about processes, services, Internet connections, drives and DLLs, security, icons, and more. Startup management, Windows startup speed, Internet speed boost, memory optimization, CPU monitoring, memory, network, HDD load and temperature, TCP / UPD monitoring, Windows maintenance, Windows problem analysis, Folder access, System performance improvement. Features of this application. This application is an Anivir product. 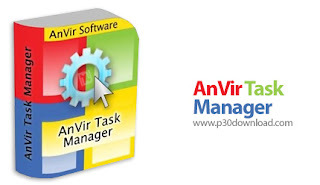 AnVir Task Manager Free is a useful application that allows you to view the programs and preocesses that are running on your computer and clean the startup items. The program can help you optimize the performance of your system. If you want to monitor and to manage the processes, the services and the Internet connection settings. It provides you with descriptions for the startup programs and all the Windows services. If new startup items are added, the program will alert you. Icons in tray for CPU usage and disk load. Quick access to last launched programs in tray. Hide windows to system tray. Automatically change process priority, permanently block undesired processes. - Get full list of applications running automatically on Windows startup including all hidden applications. - Get all additional information about startup applications. - Disable/enable, add/delete, edit startup entries. - Stop or run once again startup application. - See alert when any new application adds itself to startup. - Forbid some applications to be added to startup. - See alert when Internet Explorer home page was changed. - Get full information about all processes: CPU and memory usage, executable name with full path, priority, work time, user name. - Get executable file properties, icon and version information. - Stop many processes with one click. - Get current information about CPU usage including list of most active programs. - Get current information about HDD usage. - Detection and destruction of most propagated viruses. - Minimum usage of system resources.